Use myStrom WiFi Buttons to control Smart Home products from renowned manufacturers such as Philips Hue and SONOS. The new and free myStrom Click App renders your myStrom WiFi Buttons even more practical and allows us to explore new and forward-looking ways in app design. 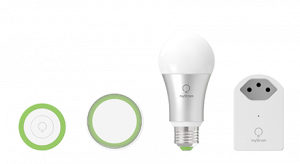 Use your myStrom WiFi Buttons to control your Philips Hue lamps individually, in groups, or together with your myStrom WiFi Bulbs and myStrom WiFi LED Strips – including full control over light colours and dimming levels. Use your myStrom WiFi Buttons to control the playback of your SONOS speakers, either individually, in groups or even in stereo pairs. The Click App supports Play, Pause, Skip Forward, Skip Back, Volume Up and Volume Down functions. Control mixed groups. Without delay. With the myStrom Click App’s simple but powerful group function, a single click controls any combination of myStrom, Hue and SONOS devices – locally and instantaneously. 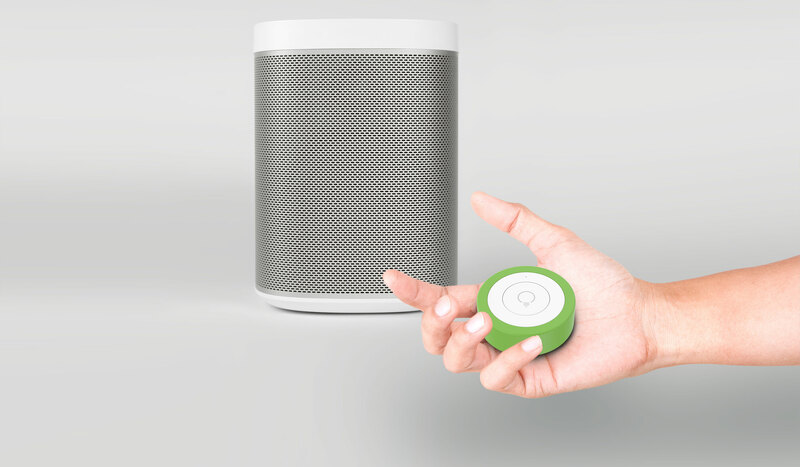 The smart myStrom WiFi Buttons now let you control your SONOS speakers and Philips Hue lights – alone or together with the sophisticated myStrom Smart Home devices.